Something is going on with the health and well-being of bisexuals, young and old, in New Mexico and in the United States. State and national surveys have begun to systematically collect sexual orientation data, bringing this issue to the attention of public health professionals. This is a great development for the LGBTQ community. Having data to back up what community members know anecdotally means that organizations can apply for funding, develop programs, and support policies to work on very serious issues that persistently plague the LGBTQ community. New Mexico is ahead of the curve – the Department of Health started collecting sexual identity data for adults in 2005, well before many other states. We don’t have a lot of gender identity data, yet. We’re working on it – please believe me – but that’s a discussion for another time. The good news is, we now have enough data to look at health outcomes for LGB adults and youth by distinct sexual orientation, instead of lumping all of the LGB data together. This is important, because these groups are different! Different health outcomes, different risk and protective factors, different strengths, different needs. Members of the LGBTQ community and allies know this, but until fairly recently, we didn’t have enough data to show it. Bisexuals make up the majority of the LGB community in NM, but are often overlooked. Data from the 2013 Youth Risk and Resiliency Survey (YRRS) – a large survey of middle- and high-school students throughout NM – indicates that 11.5% of high school girls and 3.5% of high school boys in NM identify as bisexual, compared to about 3% of girls and boys who identify as lesbian or gay. (1) These data, as well as national data, indicate that bisexuals, especially bisexual women and girls, are more likely than their straight OR LGB peers to have been victims of violence, have poor mental health, and engage in risky health behaviors. Here are some “highlights” from the 2013 YRRS – fair warning, they’re not encouraging. Let’s move from data to action! What can we do? Here’s are a few suggestions from HRC for people who work with the LGBTQ community. 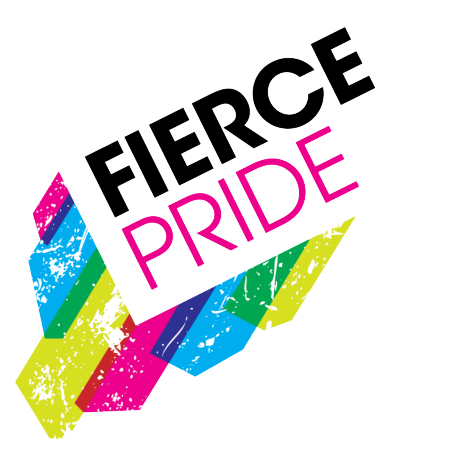 Organizations such as Fierce Pride are bringing the unique strengths and challenges of the bisexual community to light. Awareness and inclusion are positive steps towards making sure that bisexuals have the support that they need to be healthy – and it has to start from within the LGBTQ community. (1) New Mexico Youth Risk and Resiliency Survey (YRRS), 2013. New Mexico Department of Health and New Mexico Public Education Department. (2) Centers for Disease Control and Prevention (CDC). (2010). The national intimate partner and sexual violence survey (NISVS). Atlanta, GA: National Center for Injury Prevention and Control, Centers for Disease Control and Prevention. (3) Tomedi, Laura E. and Padilla, James L. (2013). Health Inequities by Sexual Orientation in New Mexico, 2005–2011. Santa Fe, NM: New Mexico Department of Health. (4) Andre, A., Brown, J., Delpercio, A., Kahn, E., Nicoll, A., and Sherouse, B. (2014). Supporting and Caring for Our Bisexual Youth. Washington, D.C.: Human Rights Campaign Foundation.